Well, not exactly, as Facebook co-founder and CEO Mark Zuckerberg reveals his 'normal' working hours in a rare Q&A session. "We've held a few Townhall Q&As over the past few months," Zuckerberg wrote, "and I thought doing a Q&A right here on Facebook would be valuable so more people can participate." Makes sense. The 30-year-old tech wunderkind, who—fun fact—was courted by AOL and Microsoft when he was still in high school, even fielded an inquiry from Sir Richard Branson during the text-based heart-to-heart. The billionaire Brit (we cannot help but wonder if Branson was a plant) asked what Zuck thinks is the “biggest benefit” of connecting the two-thirds of the world that still does not have access to the Internet. Zuckerberg quickly responded with a short list of advantages: “access to education, health information, jobs, and so on.” Hmm, not to mention gobs of additional revenue. 1. Surprise! He works 50 to 60 hours a week. Zuckerberg did not amass an estimated net worth of $36.7 billion by working around the clock, like so many successful tech startup workhorses do. Turns out, he’s a regular 9-to-5 working stiff like the rest of us. Well, sort of. Um, it better be. 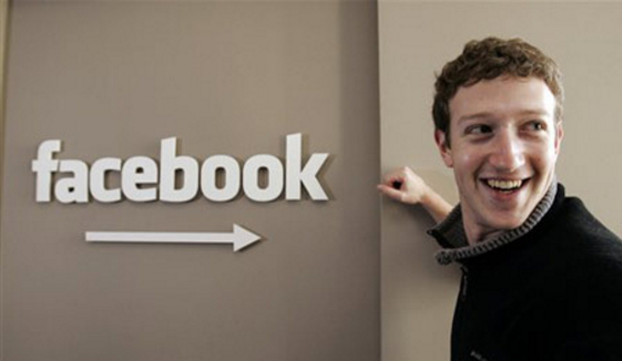 After all, Zuckerberg only shelled out $2.3 billion for Oculus VR. When asked to articulate his vision is for the much buzzed about virtual reality headset, the Palo Alto, California big shot went big, saying that Facebook’s mission with Oculus is to “give people the power to experience anything.” Anything? Whoa. We’re not sure we want in on seeing and feeling anything and everything. Not even virtually. “Even if you don't have the ability to travel somewhere, or to be with someone in person, or even if something is physically impossible to build in our analog world, the goal is to help build a medium that will give you the ability to do all of these things you might not otherwise be able to do,” Zuckerberg wrote. How? Probably via a new class of media we have never seen before, which Facebook would likely pioneer. 3. Internet.org can co-exist with net neutrality regulations. TechCrunch reporter Josh Constine managed to squeeze in a hard-newsy-ish question about the net neutrality implications of Internet.org. ICYMI, this is Facebook’s ambitious initiative to deliver affordable Internet access to basically every last human on Earth. That is with more than a little help from his mega mobile phone company friends, like Samsung, Ericsson, and Qualcomm. Did you get that, unplugged peoples? Some Internet is better than none. Deal with it. 4. Zuck’s not about to hire you during a freaking Q&A. No joke, a nervy Facebook user by the name of Van Chau Tran had the gall to try and hustle Zuckerberg for a job. Hey, why not, right? Uh, wrong. “May I have a job at Facebook?” Tran asked. A fellow Q&A attendee facetiously confirmed Tran’s dream gig, teasing “Yes, of course! Monday, 8 am! Don’t be late.” Sorry, dude. No such luck. Zuckerberg chimed in 19 minutes (and dozens of hilarious, mostly not mean user comments later) with the standard corporate response: a link to Facebook’s official careers page. Disappointment. Still, Tran was stoked enough to say he would put Zuckerberg’s response on his résumé. Maybe it will help him stand out when he applies, if he really does. We are crossing our fingers for you, Tran.